My wife Loves Loves Loves her massager. 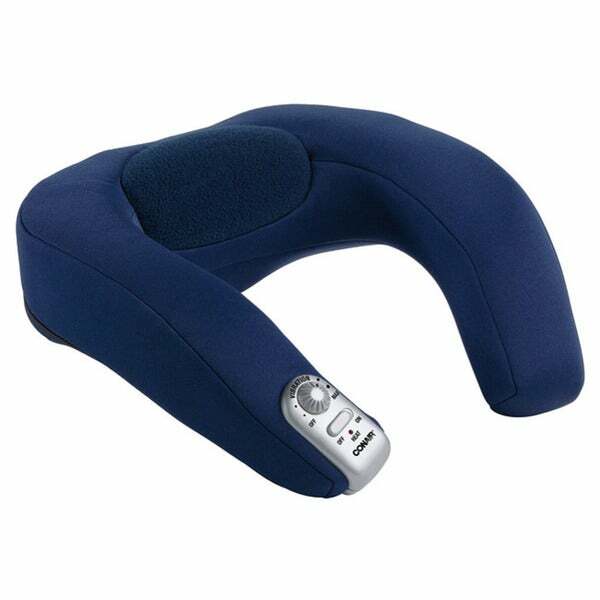 This Conair 'Body Benefits' massing neck rest includes a 3-position rotational arm with variable speed operation. This massaging neck rest is both battery and A/C-operated. I vibrates and gets somewhat warm, but the arms that stick out, while they rest on your shoulders are pretty ineffective, a slightlt different design that cupped the shoulders would be way better--still, for the price, not a bad deal. I have paid more for worse (I sent them back). So, I'd recommend it, with those caveats. this item doesn't do what i expected. its has a vibrating motion, rather than a massaging motion. it doesn't help my aching neck. i wouldn't recommend it. PRODUCT IS GREAT, REALLY RELAXING AND HELPS EASE THE HURTING IN YOUR NECK. THE HEAT IS ALSO GREAT. This is just a horrible excuse of a massager. it should even be called a massger it just vibrates. Horrible gift to get yourself or anyone else! Do not waste your time or money!!!! !